Philando Castile’s killer acquitted despite forensics that contradicted his case. 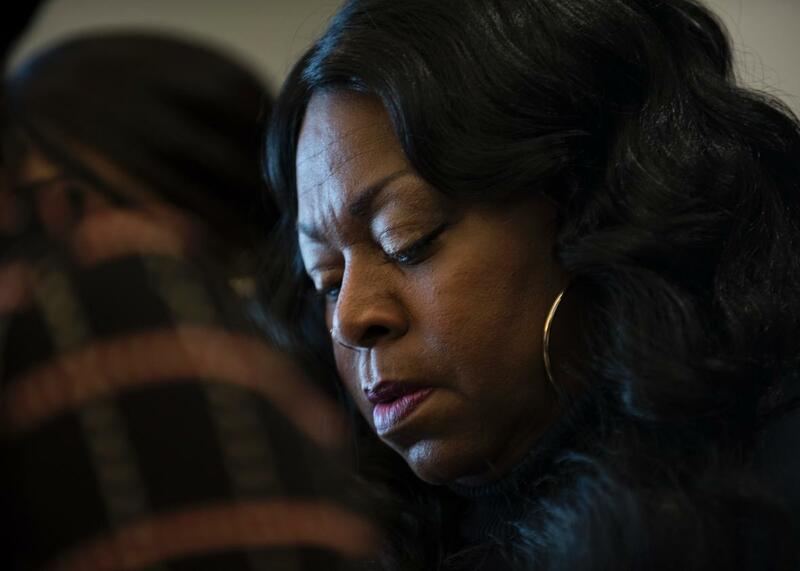 Valerie Castile, mother of Philando Castile, in November when her son’s killer was charged with manslaughter. Philando Castile’s killer, police officer Jeromino Yanez, was acquitted of manslaughter and two counts of dangerous discharge of a firearm on Friday. The case of Castile’s shooting last July in a suburb of St. Paul, Minnesota had sparked mass protests after his girlfriend Diamond Reynolds posted a dramatic and wrenching video of the shooting’s aftermath. The video, taken with Reynolds’ 4-year-old daughter in the car, included footage of Castile lying in a puddle of blood after he was struck five times from seven shots. Castile had informed the officer that he was carrying a firearm, for which he had a permit. Shortly thereafter, Yanez opened fire. In his opening statement, Yanez’s defense attorney claimed that Castile was holding his gun when he was shot. Prosecutor Jeff Paulsen highlighted autopsy evidence in his closing argument, reminding the jury of a bullet wound to what would have been Castile’s trigger finger — and that there was no corresponding bullet damage nor wounds in the area of Castile’s right shorts pocket, where he carried his gun. He also cited testimony from first responders who saw Castile’s gun in his pocket as he was loaded onto a backboard. The jury—which included ten white jurors and two black jurors—took 27 hours to deliberate and asked to review dashcam footage of the incident along with Reynolds’ harrowing cell phone video. Jurors asked the court Friday to reread the officer’s testimony in its entirety, their second request … for statements he made regarding the fatal shooting of Philando Castile. *Correction, June 16, 2017, at 10:10 p.m: This post originally referred to the Minneapolis Star Tribune as the St. Paul Tribune. It also said Castile was shot in St. Paul rather than a suburb.